One of my favorite things is remixes of Broadway and stage musicals. With the advent of celebrity after celebrity filling the vocals of the characters in the film versions of said musicals, it's become more and more likely that said remixes will find their way to release. Indeed, mix after mix of Dreamgirls appeared in various formats due to the popularity of Beyonce and Jennifer Hudson and Rent contained both mix awesome and tragic, but none were made public for Sweeney Todd or Chicago. 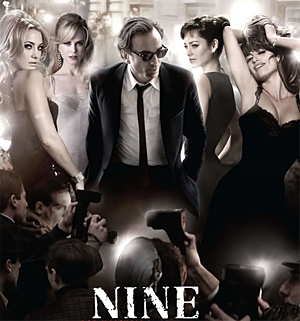 With one of the most non-accessible shows coming to the silver screen, it just didn't seem likely that Nine would get a mix. Well, fortunately, newly made "Cinema Italiano" ends itself to a bonus beat track, and while it's not terribly much different than the original film version that has leaked, it certainly contains its own charms. 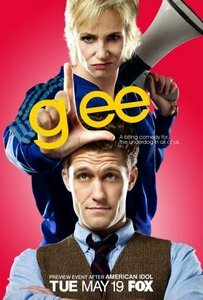 Interestingly, despite it's friendly hook, it's all about the show. When most singles such as "Seasons of Love" or "And I Am Telling You I'm Not Going" make their point to separate themselves from the original material, you can't help but notice that "Cinema" is all about the lead character from the film. Indeed, Kate Hudson's character of Stephanie (a Vogue journalist with the hots for Daniel Day-Lewis' film director Guido Contini) shouts from the rafters why she adores him. There's even extended moments were she simply repeats his name. It's all very catchy however, so it's possible (though, forgive my skepticism) that the track will carry on in the public consciousness outside of the film. The Ron Fair mix adds a bit of poppy 60s intro and the "club version" of the Ron Fair mix adds a little extra unce-unce-unce but without the distinctive house mix style. It's just funkier, not a full-out dance club cut. The Ron Fair mix will be heard during the credits of the film, but probably never on stage--the entire character of Stephanie was rewritten for the film; in the stage musical, she's none too fond of Contini and spends her section of the ensemble song "Folies Bergeres" ripping into his art. Hudson does not appear in "Folies" (it instead is a solo by Judi Dench) and so unless future revivals go that way, this is the one way you'll get to hear it. So breathe in the nostalgic go-go boot stomper but unless it wins an unlikely Oscar for Best Original Song, it'll remain a rarity in the movie musical world. Fitting, then, it should get a mix and double its status.